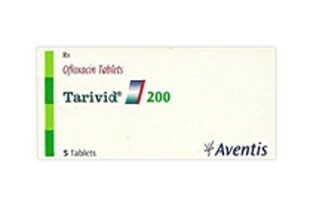 Tarivid contains the active ingredient ofloxacin and it is an antibiotic. It works by killing bacteria that cause infections. Used for treating: chlamydia, gonorrhoea, cystitis and other bacterial infections. Tablets: swallow tablets whole with half a glass of water. Course: the length of your treatment depends on how serious your infection is.